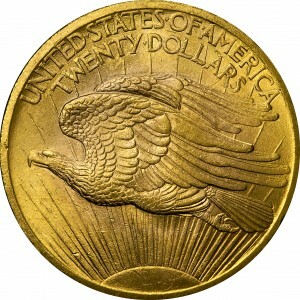 President Theodore Roosevelt objected to the motto IN GOD WE TRUST, since he felt such a phrase had no place on our coinage. Perhaps he had a personal reason to object, or was merely following the ideals of separation of church and state. Whatever his reason, Roosevelt’s objections were appropriately voiced within the Mint. This design is Charles Barber’s further modification of the Saint-Gaudens design, prepared for ease of minting and use in commerce. From Abner Kreisberg's sale of May 1966, Lot 1820. 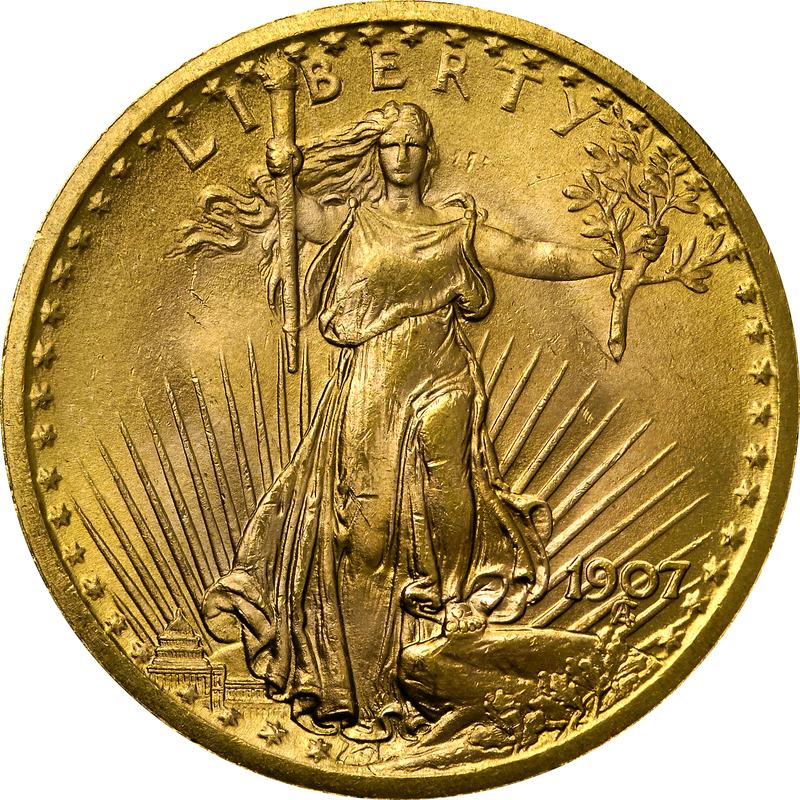 Saint-Gaudens design, now with shallow relief and with the date in Arabic numerals. 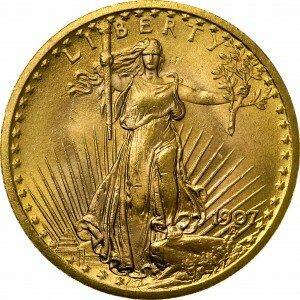 Saint-Gaudens design, now with shallow relief.